１．Struthers AD1, MacDonald TM. Review of aldosterone- and angiotensin II-induced target organ damage and prevention. Cardiovasc Res. 2004;61:663-70. 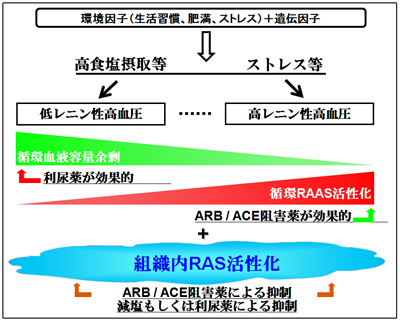 ２．Yoshimura M, Kawai M. Synergistic inhibitory effect of angiotensin II receptor blocker and thiazide diuretic on the tissue renin-angiotensin-aldosterone system. J Renin Angiotensin Aldosterone Syst. 2010;11:124-6. ３．Staessen J, Lijnen P, Fagard R, Verschueren LJ, Amery A. Rise in plasma concentration of aldosterone during long-term angiotensin II suppression. J Endocrinol. 1981;91:457-65. ４．Pitt B1, Zannad F, Remme WJ, Cody R, Castaigne A, Perez A, Palensky J, Wittes J. The effect of spironolactone on morbidity and mortality in patients with severe heart failure. Randomized Aldactone Evaluation Study Investigators. N Engl J Med. 1999;341:709-17. ５．Juurlink DN1, Mamdani MM, Lee DS, Kopp A, Austin PC, Laupacis A, Redelmeier DA. Rates of hyperkalemia after publication of the Randomized Aldactone Evaluation Study. N Engl J Med. 2004 Aug 5;351(6):543-51.